The Bay Area Air Quality Management District’s staff and board of directors faced scathing criticism this week over a lack of transparency surrounding last-minute changes to a new regulation capping greenhouse gas emissions from petroleum refineries. effort to make it “legally defensible” and “technically feasible,” according to district CEO Jack Broadbent. The original proposal, put forward by Communities for a Better Environment, limit the future emission of greenhouse gases by analyzing a refinery’s emissions from a five year base-line period and capping them at seven percent over the highest annual measurement. It would have also limited other pollutants, including particulate mass 2.5, particulate mass 10, sulfur-dioxide and nitrogen oxides. already permitted but not yet fully utilized. Some of the revisions were made less than 24 hours before the meeting, according to Greg Karras, chief scientist with Communities for a Better Environment. read from a prepared statement urging the board to postpone any decision on the matter to allow sufficient time for a full and transparent analysis of Rule 1216’s impacts. He also expressed concern about regulatory rule making at multiple levels of government, and how Rule 1216 might affect statewide regulatory efforts. “Don’t allow this historic agreement to be changed at the last minute by staff,” said Linda Hutchins-Knowles of Moms Out Front. “It kind of feels like 1984,” Hutchins-Knowles said. Union leaders spoke to the possibility of job loss associated with new regulations, and one man went so far as to call for a criminal investigation of the district’s board and staff. Karras, with Communities for a Better Environment, said later that he had been instructed my staff to prepare a 10-minute presentation but was cut short due to the irregular procedural decision. Director Mark Ross, who also serves on the Martinez City Council, noted that he hadn’t heard any of the speakers during public comment speak in favor of the revised rule. “We’re either very brave or very deaf,” Ross said. In a 13-6 vote, they approved a motion to continue the matter to a date uncertain, essentially punting the decision to another meeting. Kniss estimated that would be at least two to three months away. LOL, somebody’s bribe didn’t come through. Who’s kidding who, here? Big oil does whatever it wants to do. In the meantime, don’t burn any wood in your fireplace! Seems like we have bigger problems when this state, rather than turning down gas generators PAID other states to take power from our grid. So I hear. I thought the Trump administration had declared that greenhouse gasses don’t exist and so can’t be regulated? Yeah BAAQMD dummies. 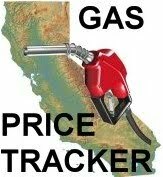 Let’s impose more BS regulations and jack the price of gas up. I should be able to buy 3 bicycles. Then transfer the “green” credits to my car. So it never has to be smoged. Regulations are meant to be implemented,, and are there for a reason. “Back in 2012, the Air District’s Board of Directors instructed its staff to develop a new regulation by the spring of 2015 (yes, we’re already two years behind that deadline!) as a backstop against increasing refinery emissions. That regulation, called Rule 12-16, would set transparent, enforceable limits (“caps”) on refinery emissions of greenhouse gases and four pollutants that cause particulate-matter air pollution: PM2.5, PM10, nitrogen oxide (NOx), and sulfur dioxide (SO2). The emission caps would be set at 7% above existing emission levels of those pollutants at Bay Area refineries. “After many delays by the Air District staff (under industry pressure) the Board committed to consider adopting proposed Rule 12-16 at a public hearing this May. We had hoped that they would live up to this commitment and not delay this rule any further, but as of this printing the timeline for adoption was up in the air. Whatever happened to representative government? The state legislature as well as Congress has given up their law making power to agencies like these. It’s pathetic and dangerous because we have no recourse against these dictators and they can do whatever the hell they want. Would like to commend author of the article, Well Done. To bad there are no reporters willing to do some deep digging to find the funding sources for these groups of supposed “grass roots” “concerned citizens”. Is not Rule 12-16 specifically and directly targeted at processing of Canada’s oil sands? Remember all the hysteria over fracking? An why were so many impressionable snowflakes against Keystone? Who stood to make money if the pipeline wasn’t built? “Warren Buffett, whom President Obama likes to cite as a fair-minded billionaire while arguing for higher taxes on the wealthy, stands to benefit from the president’s decision to reject the Keystone XL oil pipeline permit. Because Keystone was not built tank cars were used to ship that oil south Buffet owned BNSF it was reported made approximately $2 Billion per year in revenues shipping that oil south by rail. So is this Rule 12-16 really about the environment or is it about keeping an additional major oil source off the market to keep prices high? Have middle eastern oil producers created an issue, found willing and easily influenced shills once again ? Sounds very much as if those “in charge” were counting on a slam dunk day glow meeting after which they would do a quick rubber stamp vote. Do question the choice of Board chair. Reducing time for speakers ??? What ? Didn’t want to pay the babysitter overtime or was there something good on TV they didn’t want to miss. Arrogance of progressive liberal politicians is astounding. Internet search of the name gives interesting results & Palo Alto Vice Mayor re-election. At some point refinery owners will decide CA is no longer worth the hassle and reduce or curtail operations all together. Then ya can try Huggin’ a tree to get ya down the road. To bad there are no reporters from major the Bay Area media willing to do some deep digging to find the true funding sources for these groups of supposed “grass roots” “concerned citizens”. Just register your GPS info for the bikes & your credits will appear on your Plenti account. I hope other states treat CA like they are treated by CA. Then maybe those who vote Democrat will no longer be able to. No matter what the Air Board decide, you can bet the only folks who will be penalized for putting ANY pollution in the air will be the wood and pellet burners during the winter, including those with EPA certified clean appliances. The Board has a mandate from the CA politicians to meet Federal standards (and not lose Federal $$$), but won’t attack the problem by limiting all pollution sources, since that would disrupt commerce. Air quality does not get better on spare the air days, because they’re voluntary in the summer and in the winter, only one group (contributing less than 35 % of particulates) is restricted. Hold your nose everyone, im going to fart! Credibility being questioned. Abuse of authority. This is why they don’t have respect. @WhoDat? Problem with wood pellet burning EPA certified clean appliance use is there is not a large unionized work force producing those wood pellets or EPA certified stoves here in CA giving LARGE campaign contributions to democrat politicians. Does anyone think for even a split second CA state attorney general would have become involved if high dollar democrat campaign contributor jobs were not involved ? How many in state legislature get campaign contributions from unions? Last CA state attorney general went after Exxon after they cut funding to clinton foundation as did 15 other state attorneys general and all were democrats. Exxon was made example of to other companies this is what happens if you cross us. We The People don’t matter only those who give large campaign contributions matter to democrats. Excellent article. Another note about this disturbing process: an environmental impact report was already completed for this rule, before the May 31 vote. Pretty outrageous to do an EIR with one set of numbers (cap at current levels) and then at the last minute switch to a different set of numbers to allow a huge increase! Staff have had five years of discussion and several months of the EIR process during which they could’ve talked about these revisions instead of trying to sneak them in right before a vote. BAAQMD’s board is made up of local elected officials (supervisors, mayors, city council members), but unelected employees have seized power. There’s no hope for a clean process until the board steps up to control its own staff.